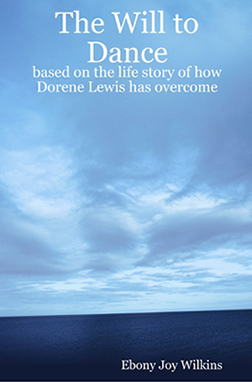 THE WILL TO DANCE, a book by author and educator EBONY JOY WILKINS, Ph.D.
Based on the life story of how Dorene Lewis has overcome. A fast-paced, true story of how an NFL football cheerleader secretly survived the daily abuses of unhealthy relationships to excel in the world of professional cheerleading. This book was personally recommended to me by Dorene! What a gift her life is to myself and SO MANY. She is a walking miracle and I pray that God will use her written and movie story to impact so many more with the power of His eternal hope. It’s an honor to stand with her in prayer to see God continue to bring about answers to prayer.